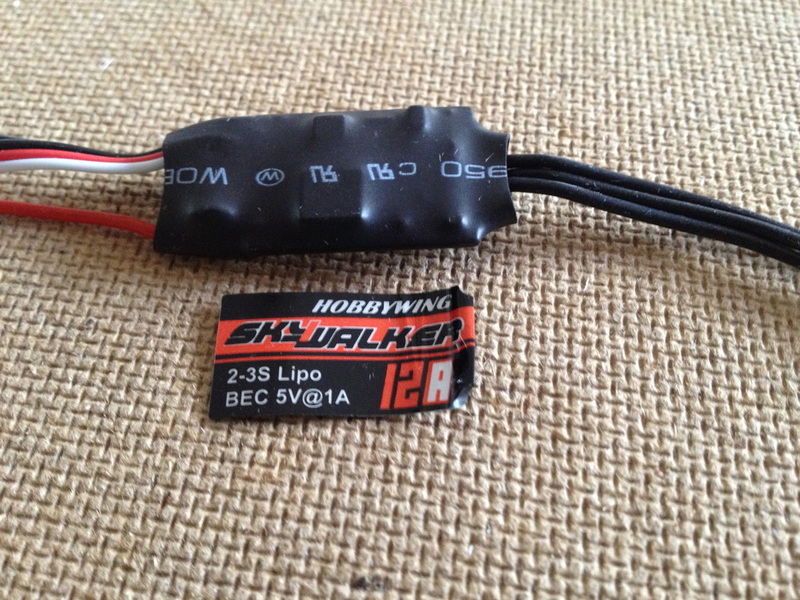 The ESC's that came with the kit were HobbyWing SkyWalker 12 Amp ESC's. 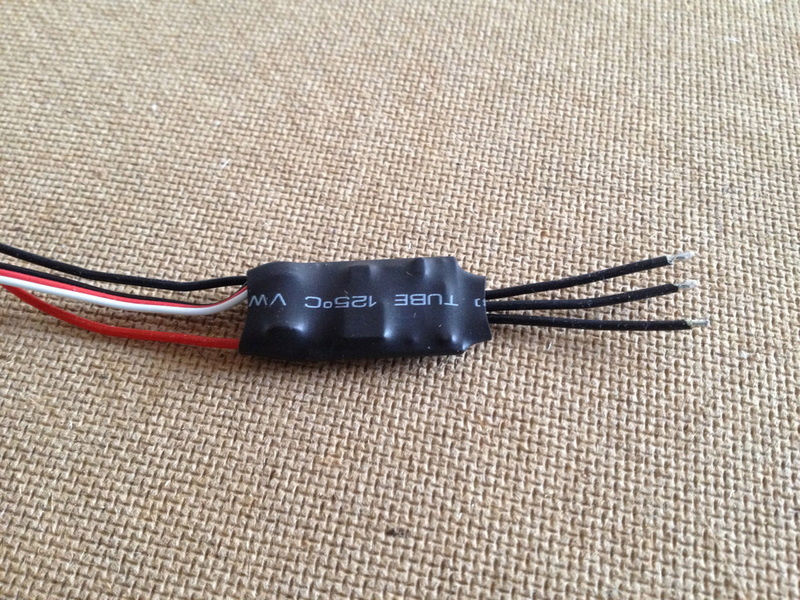 They were sealed in black heat shrink and came with the 2mm bullet connectors pre-soldered and heat-shrinked. 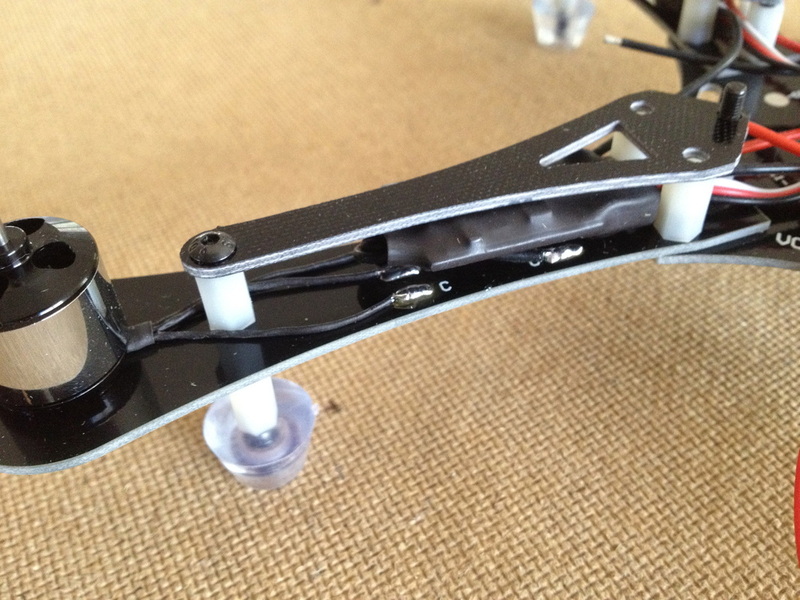 The first thing I did with the ESC's was cut off the bullet connectors and tin the 3 wires. 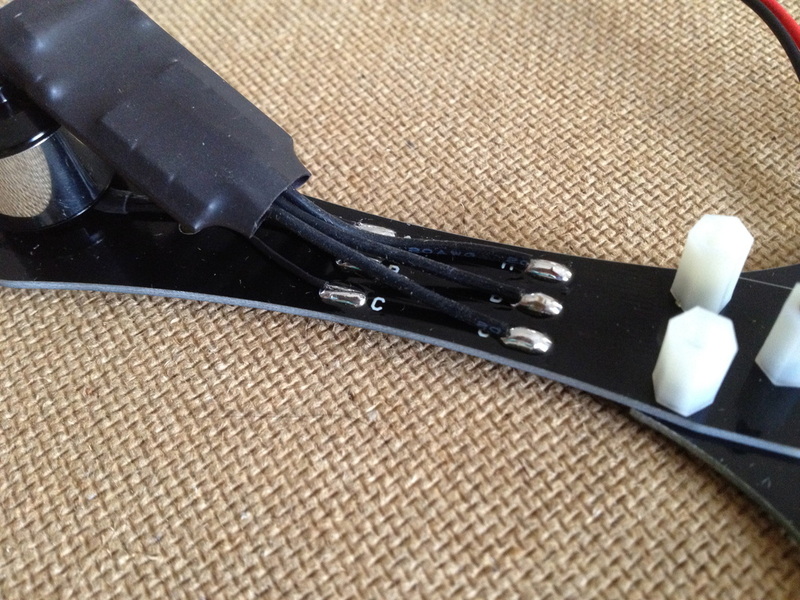 Next, I lined up the wires with the solder pads on the arms and soldered them into place. 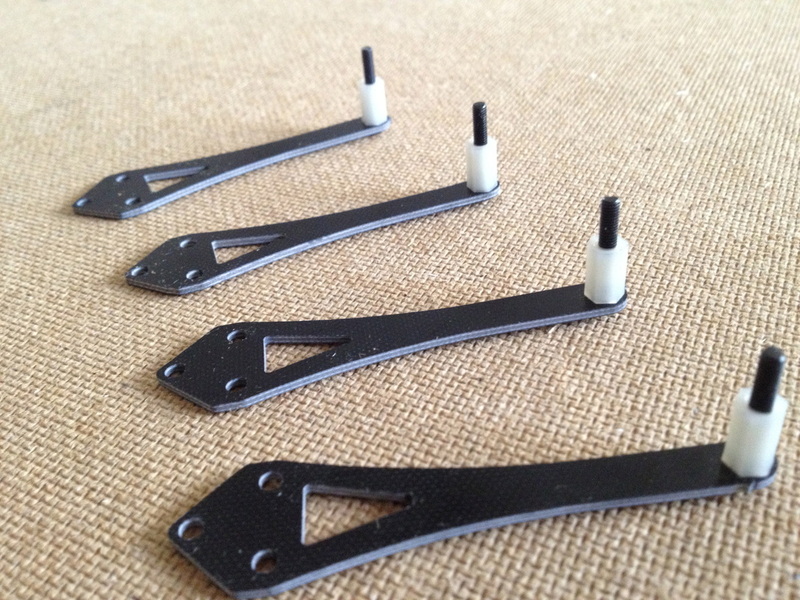 After all the ESC's had been soldered into place, I assembled the top section of the arms that would hold down the ESC. 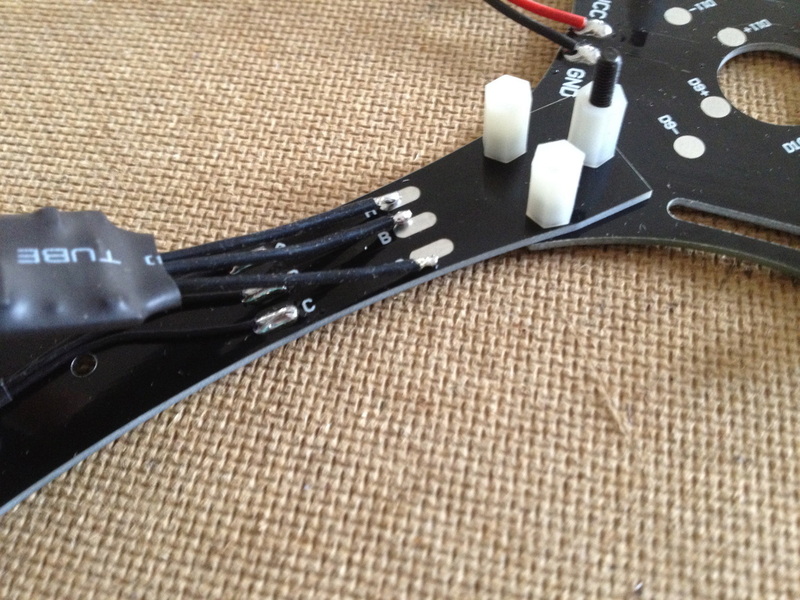 I folded the ESC's over the wires I had just soldered and then attached top sections to the arms with standoffs and bolts.